Brittany Blankenship, Jonathan Lawrence and Brian Nelson designed these business cards for Amaray, an apartment building in Fort Lauderdale, Florida. The name ‘Amaray’ was derived from the word ‘amaranth’, which means ‘unfading flower’ in Greek; the word was combined with a sunny suffix (‘ray’) to evoke sun / beach-filled landscape, while at the same time conveys elegance and longevity of the brand.  “The identity system has a rich variety of branded imagery—our brandmark, the Amaranth floral, deco patterning, and little seals and badge assets. With all of this at our disposal, we wanted to create cards (both business and appointment cards) that capitalized on this varied tactility,” said Brittany Blankenship, one of the designers at Matchstic. The flower logo also symbolizes an abstracted ‘A’, which is the monogram for Amaray. The flower imagery and the usage of neutral tones simulate the architectural and coastal surroundings of the building. As a place to slow down and unwind, people can feel the comfort and hospitality that the facility is aimed to provide. 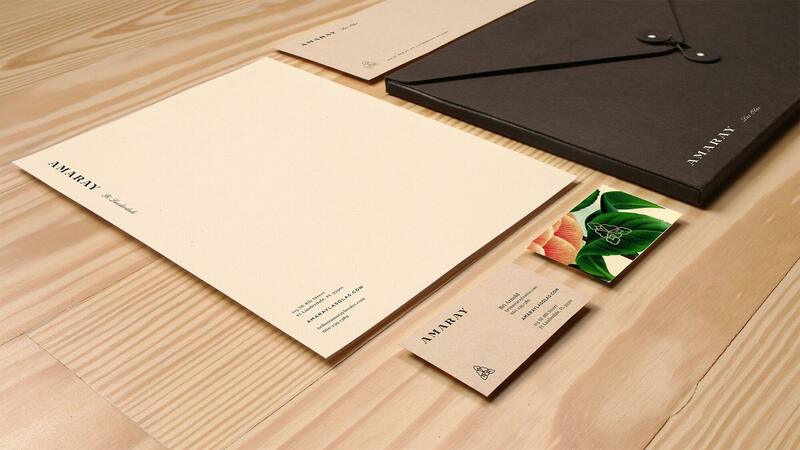 “For the business cards specifically we used a premium paper stock with champagne foil finishes. The cards were designed thoughtfully as both a stand-alone piece, but were also designed to play an appropriate functional and visual role in the larger sales kit print suite,” Brittany added. 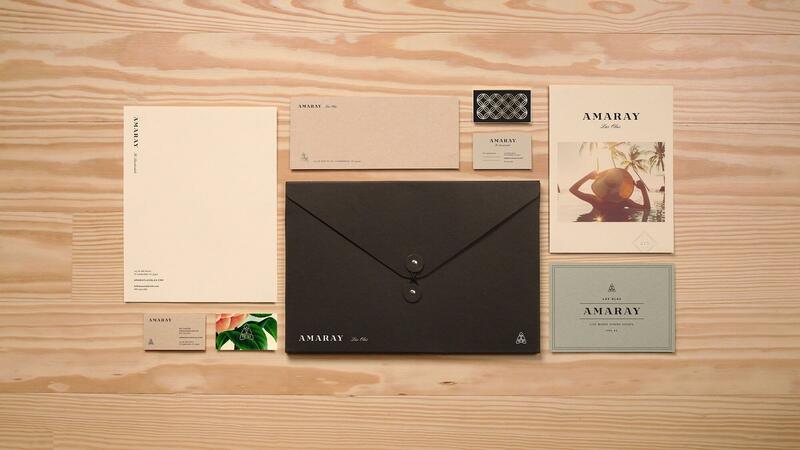 Sophisticated yet welcoming, there’s no question that Amaray’s card is going to stand out from a pile of ordinary business cards.